Are you planning for a vacation? For those of you who like traveling, pocket camera is suitable for you for several reasons. First, the price is much cheaper than a Digital SLR camera. Secondly, do not bother putting in your pocket or camera bag. Third, the price is cheaper than Digital SLR cameras, except for the premium class. 1. Lens. You have to know how wide the lens that have a pocket camera. Pocket camera that has a width of at least 24mm lens is ideal. 2. Resolution. How many megapixel pocket camera capabilities? The resolution is to support quality, but keep in mind: pocket camera with a high resolution is not always better than a camera with a lower resolution. 3. Memory card. Most pocket camera uses SD cards, but some brands are using the memory card special. 4. Battery. How long battery power, and you have to know what the price battery backup, buy a spare battery so that your vacation more comfortable. 5. Warranty. Find out how long the warranty and of course understand the warranty terms & conditions. 6. Body: large or small depends on your taste. The more slender size, the more flexible you put it in your pocket. 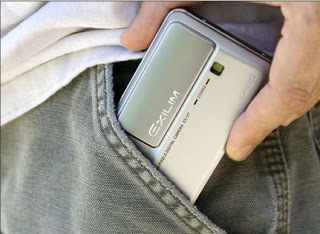 Large body pocket cameras usually havea more complete feature. 3. Focusing Range. The focus distance is related to the ability of macros pocket camera. The closer focusing ability, the more cool also photographs your macro. I have a suggestion select the macro distance of 3 cm to 10 cm. 4. ISO. Average pocket camera has sensor sensitivity (ISO) in the lowest number 80-100. ISO 80-100 is suitable for landscape photographed as the ISO is more refined grains, are high as ISO 3200 to match pictures of the evening (with a coarse grain as a consequence). 5. Shutter. The camera has a shutter speed above 10 seconds have the ability to plop in M mode (manual). 6. Flash. There should be a flash off mode; this mode will produce a more natural picture. 7. Shooting Mode. In M mode you will get the images in accordance with your wishes in terms of lighting. 8. Continuous Shooting. How fast pocket camera captures images in 1 second. Make sure you choose a camera with more capabilities than 1 shot per second. 9. Data Type. Data type of the camera is related to the quality of the files in the camera capture. Make sure to buy a camera that has RAW file. 10. Dimensions. Look how fat pocket camera that you will buy. The thinner your camera so the handier if you use it. 11. Time operation. 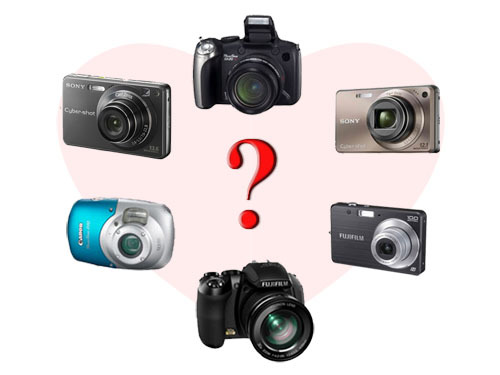 Choose a digital camera that does not take too much after the break shot. Difference in time between 4 and 6 seconds may make you less satisfied with the performance of your camera. You do not need to worry because now a lot of fast camera. 12. Compare prices and warranty. Do not just stuck in one store only. If there is a very good time if you do a little research before buying. Not all cameras the same spec as above, it is an example only. Basically, the above points should be noted. Others think of it as a bonus, kind of video, in-camera editing, framing, image slideshows, etc. In terms of price, pocket camera is very varied, and you can expect the quality of the camera based on price.